Portable Hair Washing Station - 3 Types, Which One you Need? House calls are often part of a hairstylist’s routine schedule, and this means being well equipped with a ‘mobile salon.’ One of the handy tools that will transform and ease your work as a hairstylist is a portable hair washing station. ​What is a Portable Hair Washing Station? ​A portable hair washing station comprises of a large, durable plastic bowl with a bent opening designed specifically to accommodate a client’s neck while washing. They come in diverse styles, sizes, and colors. ​Why does a Stylist Need a Portable Washing Station? ​So do you really need a portable hair washing station and how will it enhance your work as a hair stylist? To begin with, a portable hair washing station adds on to your list of salon tools that you can easily take with you to a client’s house. The portable washing station will definitely give you a more professional outlook. 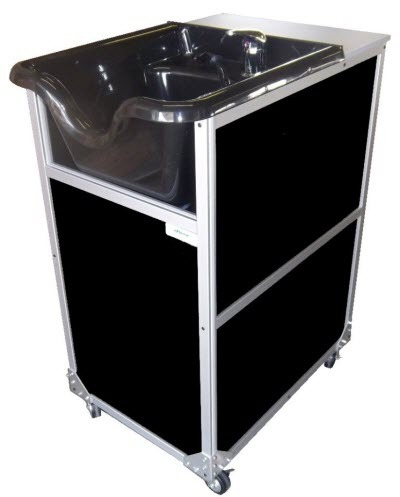 Portable washing stations are by nature designed to safeguard your client from getting unnecessarily wet from accidental water splashes. Besides use by hair stylists, they are also useful for home caregivers and health care institutions to help make washing a client’s hair a stress-free process. What Kinds of Portable Hair Washing Stations are there? ​Hair wash trays are a portable hair washing station accessories, which are essentially designed for an extremely user-friendly experience while washing a client’s hair. They are the simplest and most effective portable hair washing solutions, packaged in a lightweight plastic tray style with a bent opening to accommodate the neck. ​To use a hair tray simply place it inside a sink and s then spread out across the tray your client’s hair across it for easy washing and rinsing. ​Home caregivers can use them with patients on wheelchairs to provide a hassle free washing experience. ​Adjustable portable hair washing stations comprise of a shampoo bowl with a bent opening, a draining hose to empty out water from the bowl and a plug so that water does not drain out while washing, and an adjustable stand that accommodates the shampoo bowl. ​They are available in an equally wide range of designs and sizes, with each designed to meet a specific need. For instance, home caregivers with clients who use wheelchairs might go for an adjustable portable hair-washing bowl that comes in a flat shape akin to a tray as opposed to one with a deep-set bowl. ​The Self Contained Portable Shampoo Sinks are high-end hair washing facilities designed for mobile use at virtually any location. The most basic of these self-contained stations comes with a shampoo bowl, a drain hose, water tank in diverse capacities (for both fresh water and waste water) and water heater, and all this is packaged in a trolley shaped boxed compartment with movable wheels with locking brakes. ​They do also come in a wide selection of designs, sizes and colors as well as wide selections of accessories. For instance some include a hand-held spray hose. ​What type of Portable Hair Washing Station Do You Need? ​Now that you have a better understanding about what hair wash stations question is what type of portable hair washing station do you need? ​B y usage we are referring to how often you will be using the portable hair washing station and where you will be using it. ​If it is for use in different locations (client’s homes) you will want one that travels easily and is equally easy to assemble for use. In this case, you might consider a hair wash tray to begin with or an adjustable hair washing station depending on your specific needs. ​In the case of at home caregivers or a caregiving institution, a self-contained portable shampoo sink would be recommended. ​Once you have narrowed down on your usage, the next thing to consider is what do you want the portable wash station to come with? Let’s say you regularly have salon displays at malls or you simply don’t have a permanent location for your beauty business; you will need a portable washing station that is self-contained with clean water and comes with water heating capabilities. ​Height adjustability is also another key consideration particularly for portable hair washing stations used in health care facilities. The space you will be working with is equally important when it comes to selecting the size of a portable hair washing station. If you will mostly be working with limited space, you will want something that is a bit more compact. If space is not an issue then you can definitely go for larger units with more features and functions that you need. Durability is important because you want to invest in something that will last. 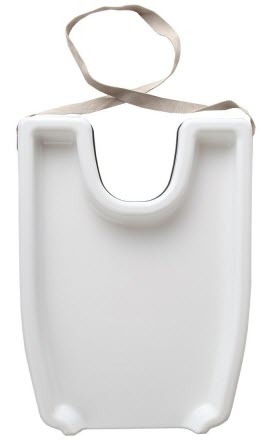 The plastic used to make the washbowl should be lightweight yet strong enough to last. Balance and stability of the shampoo bowl is an equally important consideration. The height often determines sturdiness and higher bowls (5 feet+) are often steadier. Getting a steady washbowl guarantees that the bowl won’t move around, which will be uncomfortable for your client as well as disrupt the washing process. ​Another important consideration is getting a stain-proof washbowl particularly if you’ll be working heavily with hair chemicals and color products that might leave stains. ​Price is an equally important factor when buying a portable hair-washing unit. Usually, most people attribute lower priced products to low quality, but this is not always the case. Price essentially equates to features, and this is the same case with portable hair washing units. 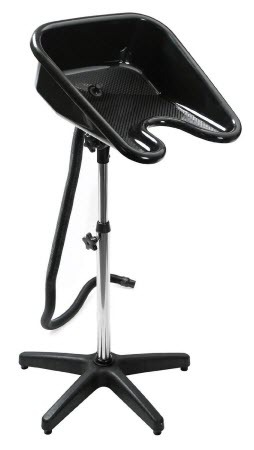 Working with your budget, it is possible to find a portable hair washing station that meets all your requirements. Now that you know everything you need to know about the different kinds of portable hair washing stations available and what to consider when buying one, you are definitely well equipped to go out and buy one.